Father’s Day Candy Favorites from Blair! It was just a month ago that we were writing about some of our top candy picks for Mom, and here we are hot on the heels of Father’s Day. While there’s a good chance that your mom and dad like a lot of the same sweets, where you can really switch things up is in how you present them. For example, you might tuck Mom’s treats inside a beautiful basket while Dad’s are stowed away inside a tackle box. Get creative! Fisher’s Caramel Popcorn: One of the latest additions here at BlairCandy.com, I don’t think anyone is more excited than me that we’re carrying this yummy treat! Handmade for 70 years, and a staple boardwalk delight on the East Coast, I grew up enjoying this caramel corn with my parents and love it even more today. Whether Dad is a fan of Fisher’s popcorn in particular, or loves caramel corn in general, he’s sure to be asking for another tub in no time! 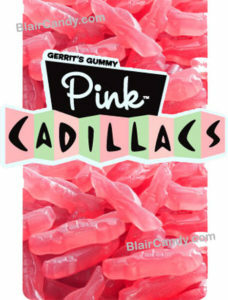 Gerrit’s Gummy Pink Cadillacs: Whether Dad has a Cadillac he loves now, loved then, has been working on for years, or has simply been dreaming of for years, these fruity Pink Cadillacs candies are sure to make him smile. And he won’t even have to worry about parking at the end of the lot because of all the careless people who open their doors too wide or park too close! Satisfying Snacks for a Day Outdoors: Is your dad happiest when he’s miles away from the nearest shopping center, enjoying a day on the water, at the park, or in the woods? Give him some snacks that will hold him over until he’s caught enough fish for dinner! 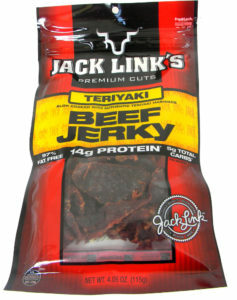 Consider Freestone pickles, Planter’s nuts, Jack Link’s beef jerky, and Lance crackers. You might also want to consider joining him for one of these outings. As much as he loves a quiet morning on the water by himself, time spent with you is even better. We have finally climbed our way out from under the frigid avalanche that was this past winter, and something as simple as sitting on the front porch feels like a release from prison! After months of only being outside long enough to shovel or walk from my house to my car, even outdoor chores like washing the windows are almost a joy. I’m just so happy to be outside! And what’s even better than feeling a warm rush of wind while sitting on a deck chair is feeling it while you’re driving down the highway toward somewhere exciting. It could be a friend’s house, an amusement park, a beach – just about anywhere! When you’re a road trip fan like I am, the journey is truly half the fun. I love playing car games, I love listening to music, I love seeing new things along the way, and not being too rushed to stop and check some of them out. Seriously – if you’re planning a road trip this year, do yourself a favor and build some flexibility into your travel time. Sometimes those odd little stops along the way are gems! Yes, there’s a lot I love about road trip adventures, but what I don’t love is spending a ton of money on overpriced convenience store snacks when hunger strikes. And with a little planning, you don’t have to. Before you head out on the highway, be sure to pack some sweet and salty snacks that will keep your belly happy between meals. Most of us idly snack more than usual when in a car for a long time, so the lengthier your journey, the more variety you should give yourself. I like to keep the ‘Big 3’ of snacking in mind when I pack my bag, ensuring I have at least 2 of each: Sweet, Salty, Satisfying. Some snacks meet the qualifications for more than one of those categories, of course, while others might not fill me up, but are a favorite nonetheless! Here are a few of my favorite snacks and candies to take along on a road trip. Please share yours in the comments!